The largest hand-woven carpet that measures 5,630 m² (60,600.81 ft²) and was manufactured by the Iran Carpet Company (Iran) comes in at No 5 on our most legendary carpet list. Using 38 tons of cotton and wool, 1,200 weavers from Iran's Khorasan Province crafted the rug over a year and a half under the design direction of Iranian artist Ali Khaliqi. The finished product, which was unveiled in 2007 in time for the opening of the mosque that year, incorporates 2.2 billion individual, hand-tied knots, covers 60,546 square feet, and weighs 12 tons. 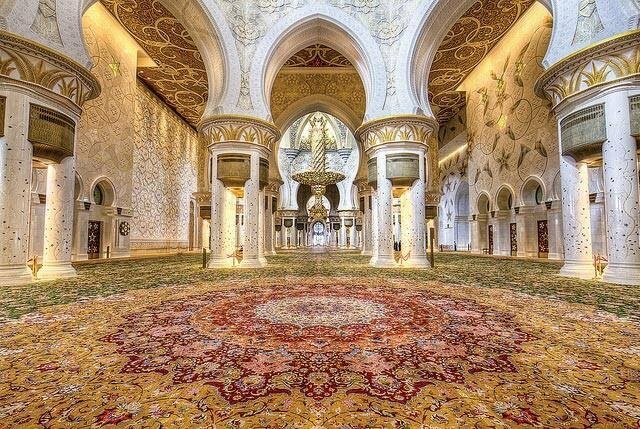 The carpet was created in 9 parts and assembled in the mosque. 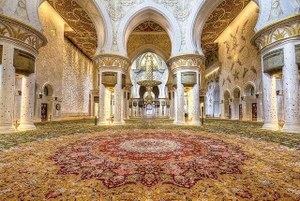 The carpet would have been around 6,000 square metres originally, but parts of it had to be taken away in order to fit it onto the floor in the mosque. The most expensive rug ever sold is the Sotheby’s ’17th Century Antique Persian Carpet’ which sold for $33 Million and makes No 4 on our list of the most legendary carpets. 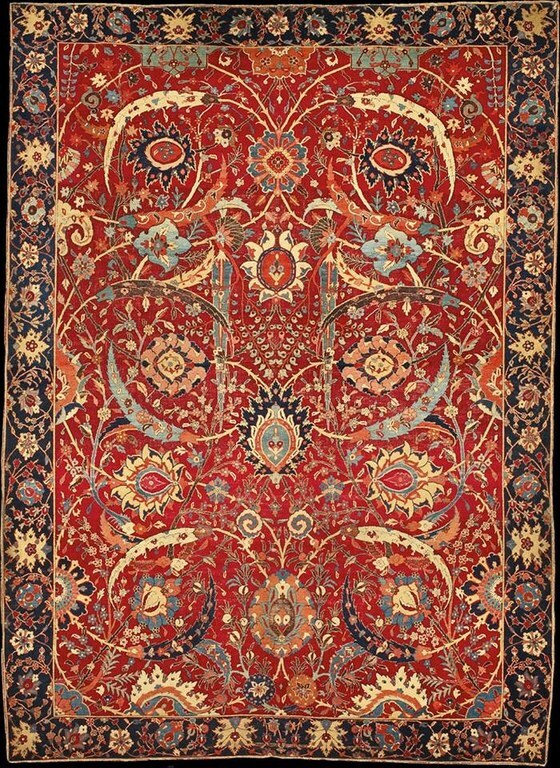 Shattering all records and becoming the most expensive rug ever sold, the auction at Sotheby’s New York baffled everyone and gives credibility to Persian carpets as an investment. This amazing piece of art is probably from the ancient city of Kerman and was a “Sickle leaf, vine scroll” carpet that belonged to the Clark collection. Its intricate design consisted of beautiful vines, gorgeous flowers, and sickle shaped leaves. Only 6 feet x 8 feet in size, it has a beautiful deep red color that still looks magnificent after all these centuries. The previous record for the most expensive rug sold was held by a leaf patterned rug in bright blue colors from the seventeenth century Iran which was sold at Christie’s in 2010 for $9.6 million, which was more than double the previous record of $4.3 million. 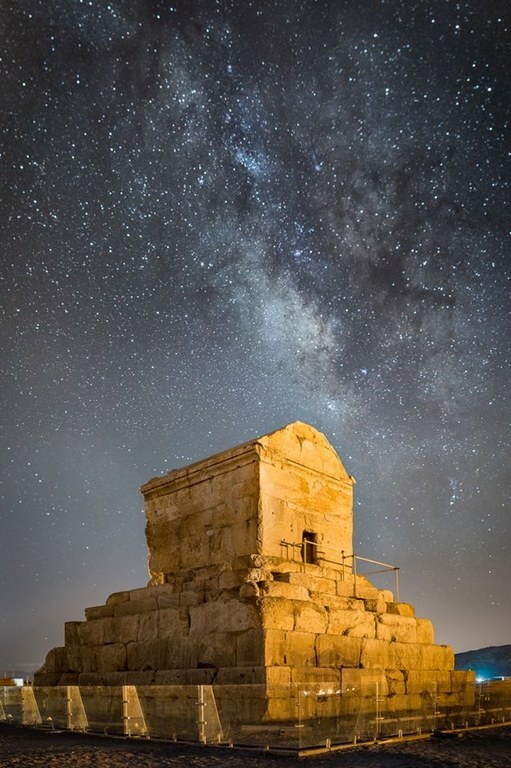 According to the records by the ancient Greek historian, Aristobulus: "In the chamber (of King Cyrus’ tomb) lay a golden sarcophagus, in which Cyrus' body had been buried; a couch stood by its side with feet of wrought gold; a Babylonian tapestry served as a cover and purple rugs as a carpet. There was placed on it a sleeved mantle and other garments of Babylonian workmanship. Median trousers and robes dyed blue lay there: some dark, some of other varying shades, with necklaces, scimitars, and earrings of stones set in gold, and a table stood there. It was between the table and the couch that the sarcophagus containing Cyrus' body was placed. Within the enclosure and by the ascent to the tomb itself there was a small building put up for the Magians who used to guard Cyrus’ tomb.” The purple rugs in King Cyrus’ tomb makes our No 3 on the list of the most legendary carpets because purple is rarely used in the making of Persian carpets since it is a hard colour to get and was most certainly obtained from sea molluscs in the time of King Cyrus. Judging from all the other treasures in his tomb we are certain that these purple rugs were magnificently woven, fit for a king. The Baharestan Carpet was a large, late Sasanian royal carpet, now lost, but known from historical accounts. It most likely covered the floor of the great audience hall of Taq Kasra, an iwan in the Sasanian capital of Ctesiphon. The carpet was 27m long and 27m wide. Woven of silk, gold, silver, and rare stones, the carpet depicted a splendid garden akin to paradise, and for this reason makes No 2 on our list of the most legendary carpets of all time. When Ctesiphon was captured by the Arab Conquerors in 637 the carpet was seized and sent to the Rashidun caliph Umar, who was in Medina. There the carpet was cut into small fragments and divided among the Arabs. One of the Arabs who received a piece of the carpet was Ali who, although he did not receive the best piece, managed to sell it for 20,000 dirhams. 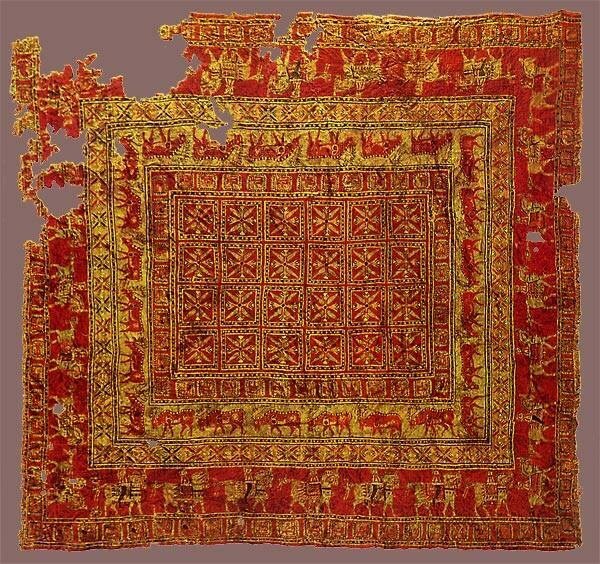 The Pazyryk carpet tops our list of the most legendary carpets because it is the oldest surviving carpet in the world. Dating around 5th c. BC it is testament that this beautiful art has existed for millenia. The Pazyryk rug was found in 1949 in the grave of a Scythian nobleman in the Pazyryk Valley of the Altai Mountains in Siberia. The rug had been frozen in the ice and was very well preserved. The rug has a ribbon pattern in the middle, and a border which has deer, and warriors riding on horses. This carpet has 3600 symmetrical double knots per cm² (232 per inch²)..